December is here and for me that means decorating my home for Christmas. I know some people start after Halloween ends, but I’ve always waited till the beginning of December to put up the tree and other Christmas decor around the house. This year I’m adding a few homemade Christmas decorations and one easy way to do that is through printables! There are so many free printable templates online if you look. They are normally easy to make and inexpensive. All you need is a printer, ink and some paper. Now I doubt I’ll be able to get through this entire list because that is a ton of printables. However, I plan to look through the list with my daughters and pick a couple of them to make. You might also like this Christmas Planner. Will you be using any Christmas printables this year? There are some great printables there, thanks will have fun doing some of these with the grandkids! I hadn’t considered using printables this year until I looked through your list. Now if I can find the time I am thinking of using the Recipe cards, for me. I am also thinking my grandkids might enjoy the Rduolf and mini paper angels. Thank you for posting the list. Great printables! Thanks for sharing, I am definitely going to use a few of them! I’m in decorating mode this weekend, and so glad I found this post! Thank you! These are really cute! Eek! Great round up! Now I need to print a few and hang them around the house! A great way to add some Christmas cheer to every room. I like al lot of these awesome Christmas printables. I think it is fun to make things with my niece! I will have to check out the links and see what we can make! I love the DIY mason jar labels! I need to check out the rest but so far so good! thanks for sharing! Some awesome ones here, including the centerpiece. Thanks for the links! Oh my goodness thank you for putting this list together, it will give me some fun ideas for the kids this week! 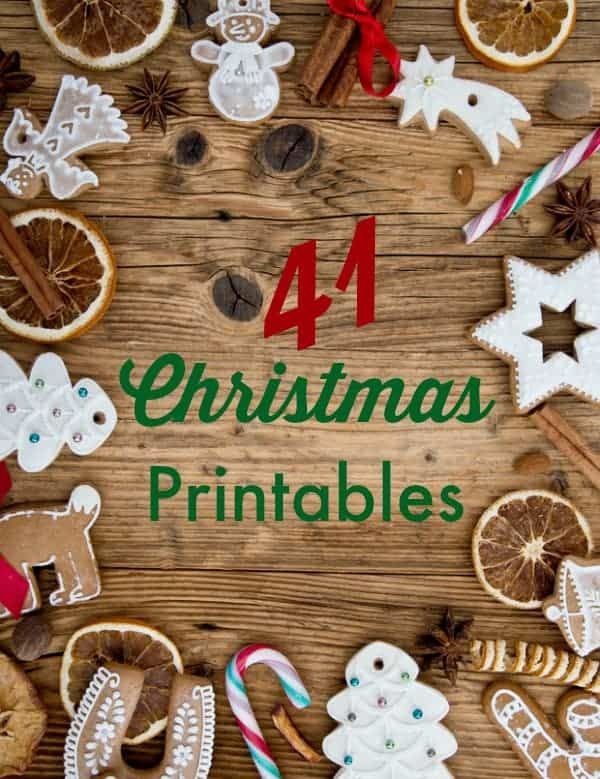 Thank you for the great list of Christmas printables.We will have fun this year doing some of these.They are really cute!!! These are all great Christmas printables, my favorite is the Cut Fold Kirigami Snowflakes craft. You can use colored paper or you can use white paper and cover it with glitter. This is definitely something I would do. Thank you for sharing this post. Whoa! Great selection. We just started decorating so I thought I’d click a few to really get ideas…I end up with lots of windows open. Thanks. Happy decorating! thanks for putting everything in one place!!! will go back often to this page! I love this. These will be great for when my nephews are over. Thank you for sharing these, I will be checking these out! love the printables, esp. the Christmas Tree Silhouette. These are so great! I am going to print the wine tags out, thanks! This will be so helpful. I plan to make some food gifts this year for my friends and the labels will be great. thanks so much for this, Ive been looking for printable items for chritsmas! Wow — had to pin these! Thanks for sharing this list of printables. I have never been able to make a decent snowflake so I will be using your print and cut kirigami snowflakes! Thank you. Absolutely love that you have printables available ! Hard to find great printables for us. Fantastic printables! – I will keep this link for next year.